Posted on April 11, 2018 by treelawyer	tagged. 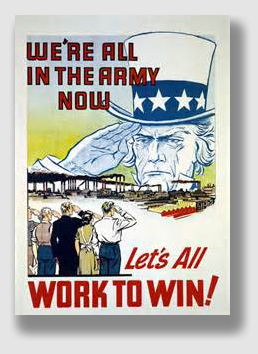 A long time in a war far away, everybody was doing all he or she could for the war effort. Buying bonds, working on the home front, soldiers marching, airmen flying, sailors sailing, marines landing… we were all in it together. The Heaths, who owned property in New Jersey, were in it, too, and were only too happy to give an easement to a defense plant for a natural gas pipeline over their land. The War ended but the easement lived on. It passed from owner to owner (as did the unimproved land to which the easement applied) until the easement for the gas lines was owned by Duke Energy and the unimproved land had become University Heights. By then, the easement for the gas lines was lined up with a beautiful boulevard that had been built over it. That boulevard, Fountain Avenue, in turn, but was lined with 75’ tall trees. Fast forward to 2001, a new century, a time when World War II vets were octogenarians. Duke Enrgy announced that it was going to cut down the trees to better service the gas lines. All that collective “we’re in it together” twaddle had long since gone the way of Howdy Doody and the jitterbug. By the new millennium, it was every dog for himself. Thus, as they say in legal circles, litigation ensued. The trees belonged to the Township, although as the Court of Appeals observed, the homeowners thought of them as their own. The Township rolled over and agreed that Duke could take down 55 of the 80 it had planned to cut, but the residents kept up the fight. The trial court sided with them, and prohibited Duke from cutting the trees. Duke appealed, arguing the homeowners had no standing to stop it. After all, the trees didn’t belong to them. Standing is a powerful concept in the law. The Constitution empowers courts to hear “cases and controversies,” and those words have meaning. If a party lacks standing, that is, skin in the game, there’s no real case or controversy, because the parties aren’t really at loggerheads. Here, the Court disagreed with Duke. A 75’ shade tree in your front yard is, the Court said, powerful incentive to litigate vigorously. However, the Court said, the trial court’s siding with the homeowners on summary judgment was too hasty. Real questions existed whether aerial surveillance was necessary, whether the tree roots were really invading the gas line, and whether the trees would keep crews from an emergency break. Township of Piscataway v. Duke Energy, 488 F.3d 203 (3rd Cir., June 6, 2007). In the early 1940s, Flora and H. Morgan Heath took title to a large tract of undeveloped land in the Township of Piscataway. The Heaths granted Defense Plant Corporation “the right to lay, operate, renew, alter, inspect and maintain” two pipelines for the transportation of natural gas across the land. The 1944 grant required Defense Plant “to bury such pipelines so that they will not interfere with the cultivation or drainage of the land, and also to pay any and all damages to stock, crops, fences, timber and land which may be suffered from the construction, operation, renewal, alteration, inspection or maintenance of such pipelines.” Defense Plant subsequently installed two 20-inch diameter natural gas pipelines. In January 1960, the Richters and Gerbers (who now owned the property) granted TETCO — which was Defense Plant’s successor — the right to construct a third pipeline across the property. The 1960 grant allowed the owners “to fully use and enjoy the said premises, except for the purposes granted to [TETCO] and provided the [owners] shall not construct nor permit to be constructed any house, structures or obstructions on or over, or that will interfere with the construction, maintenance or operation of, any pipe line or appurtenances constructed hereunder, and will not change the grade over such pipe line.” TETCO agreed to bury all pipes to a sufficient depth so as not to interfere with cultivation, and agreed to pay such damages which may arise to growing crops, timber, or fences from the construction, maintenance and operation of said lines. TETCO then constructed a third 36-inch diameter pipeline. Three years later, three real estate development companies that then owned the property entered into an agreement with TETCO in which TETCO agreed to reduce the size of the easement by releasing all portions of the land in the prior grants not needed for the pipelines. Attached to the 1963 agreement was a drawing prepared by TETCO, which showed a proposed residential neighborhood through which TETCO’s 60-foot wide easement ran at a slight diagonal. The 1963 agreement preserved all of the rights and restrictions set forth in the prior grants. Later, Duke Energy succeeded TETCO. Meanwhile, as a result of residential development of the property, the land on which the easement is located became a one-block long public street named Fountain Avenue. 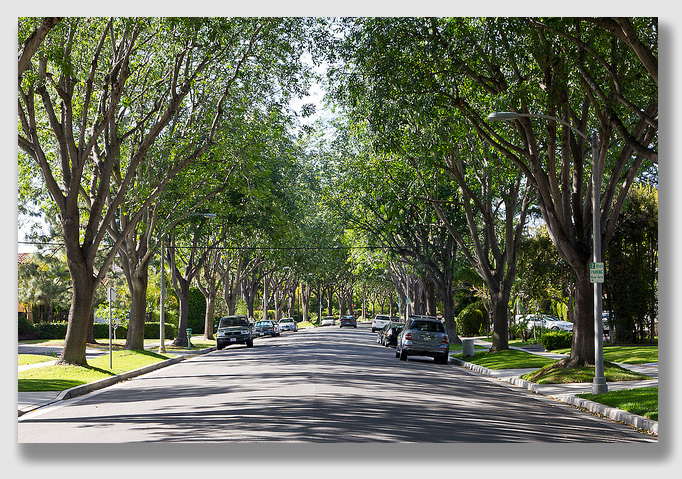 The street became flanked by a large number of trees, many of which were planted in the early 1960s as part of the original residential development of the neighborhood and have grown to about 75 feet tall. The homeowners who became part of this lawsuit lived in single-family homes built by the developers on lots lining Fountain Avenue. Although all of the trees at issue in the case were located on Township property, the homeowners viewed the trees, from a practical and aesthetic perspective, as extensions of their front yards. In April 2000, Duke announced that it would be removing approximately 80 trees from Fountain Avenue in order to better maintain the pipelines. Township residents vehemently opposed the proposed action, and sued Duke for an order prohibiting the Township and the homeowners from interfering with Duke’s rights under the easement. The Township settled with Duke and consented to the immediate removal of fifty-five trees from Fountain Avenue, as well as to the future removal of any trees that exceed eight inches in diameter. The homeowners disagreed, and proceeded with the case. Following a hearing, a federal district court granted the homeowners’ motion for summary judgment, concluding that Duke failed to offer any evidence that removal of the trees was “reasonably necessary” to the maintenance of the pipelines and that Duke was barred by the doctrine of laches from asserting a right to remove the trees pursuant to the terms of the easement grant. Held: The case was sent back to the trial court. Duke argued that because the homeowners didn’t own the trees, they lacked the legal standing to stop Duke from cutting them down. But the Court disagreed, finding that removal of the trees from in front of homeowners’ property would have caused actual injury to the homeowners’ servient estates. The trees added to the value of the owners’ property, and they helped reduce air pollution, improved air quality, and provided cooling shade which reduced energy costs in summer months. Under New Jersey law, the Court said, there is an implied right arising out of every easement to do what is reasonably necessary for its complete enjoyment. However, that right is to be exercised in such reasonable manner as to avoid unnecessary increases in the burden upon the landowner. Therefore, summary judgment for the homeowners wasn’t proper here, because a genuine issue of material fact existed as to whether aerial surveillance was reasonably necessary to the maintenance of natural gas pipelines and, if so, whether the trees along Fountain Avenue prevented such surveillance. 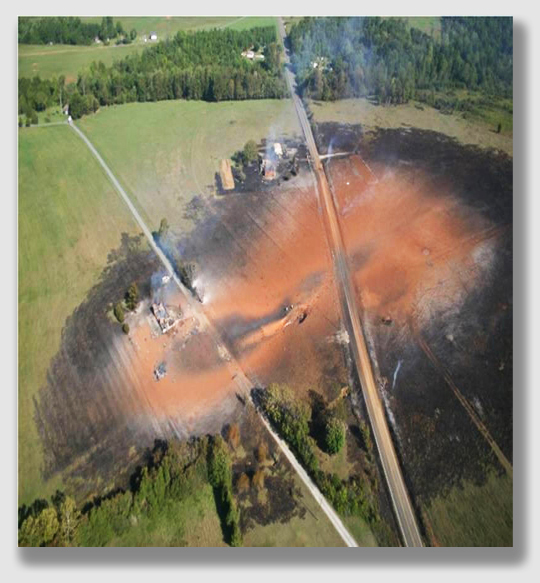 Likewise, a question existed as to whether the trees prevented operators from gaining quick access to pipelines in event of an emergency, as well as to whether the root growth of the trees posed a significant threat to the integrity of the pipelines. The trial court also found that Duke was barred by laches from seeking to remove the trees now, after having had the right to do so for many years without exercising it. Under New Jersey law, laches may be enforced only when the delaying party had sufficient opportunity to assert the right in the proper forum and the prejudiced party acted in good faith believing that the right had been abandoned. The key factors to be considered when deciding under New Jersey law whether to apply the laches doctrine, according to the Court, were the length of the delay, the reasons for the delay, and the changing conditions of either or both parties during the delay. In this case, the Court said, there was evidence of newly promulgated natural gas transmission standards, as well as greater attention paid to natural gas pipeline safety, as a result of recent catastrophes. Those new developments, the Court said, were sufficiently compelling to create a genuine issue for trial.